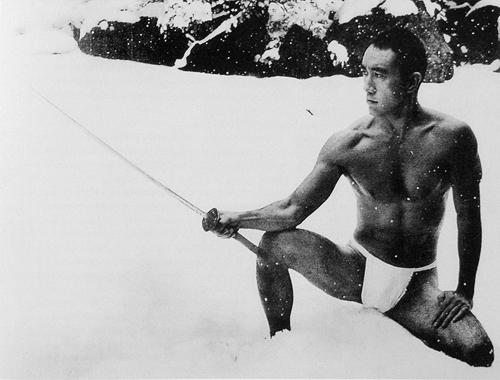 yukio mishima | books, yo. I truly hate spiders, which is unfortunate as I seem to be invaded by them, en masse, every summer. They know, I’m sure of it. There have been days when I have had to smite legions of them, like Odysseus slaying Penelope’s suitors and reclaiming his home. I haven’t always been this brave, however. I remember some years ago, being in a girlfriend’s bedroom, and spending hours eyeing the [pretty small] spider on the ceiling; no joke, I couldn’t bring myself to kill it and I couldn’t sleep while it was in attendance, and so I stayed up till something like 4 a.m. and only utter exhaustion prevented me from being up all night. I told this story to my best friend a couple of days after the incident, and he responded with a load of hippy guff about how I need to learn to love the spiders, how harmless they are and how they have as much right to existence as I have. Pfft. That incident was telling though, because I realised that I was letting my phobia get the better of me. My response, as I framed it for my friend, was that I didn’t need to learn to love the spider, but to hate it with a furious and annihilating passion. Whenever I see one now, I grab my killing-shoe and rush at it, emitting a loud death-scream, and pound it until all that is left of the fucker is a brown, wet, smear. If you were to try and understand my actions, to get to the psychological root of them, you’d likely want to pick up on the use of the word invasion, or maybe you’d ask about any childhood experiences with arachnids, or perhaps you’d focus on the association spiders have, artistically-culturally, with evil. All of that stuff may be relevant, I don’t know, but, for me, the heart of the matter is that they are just so ugly. It’s the look of them, the way they move; there is something truly other about them, something horrific. 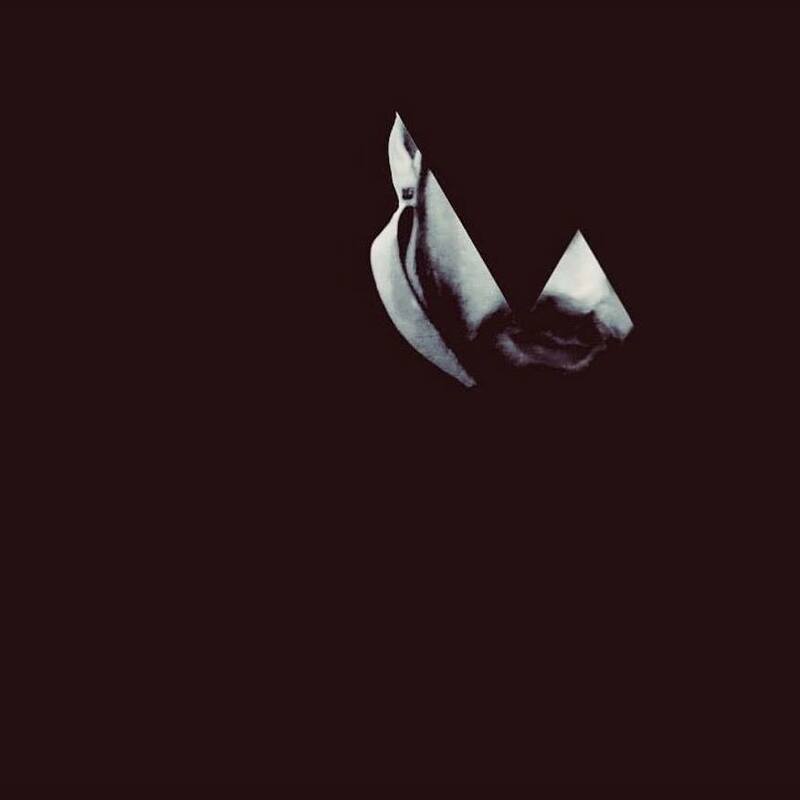 It is this ugliness, really, that I’ m attempting to destroy, to eradicate from my life. I see this attitude in other things too, my aversion to depictions of violence [which is pretty ironic considering how I treat the spiders] for example, how I try and avoid that or if I can’t how uncomfortable it makes me feel. I’ve heard people, people I like and admire, talk about the aesthetics of violence, but I can’t understand that, I can’t see it. Indeed, I remember a girl once showing me a picture of a couple covered in bruises, and telling me how much she loved the picture, how beautiful it was, but for me it was horrible, ugly. You’re wondering, I guess, if you’re still with me and haven’t gone in search of less rambling reviews, what any of this has to do with Mishima and The Temple of the Golden Pavilion. 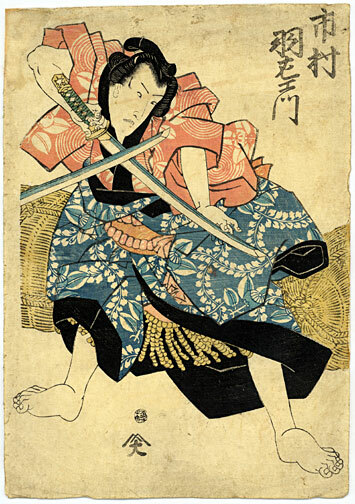 Mishima, as most people know, committed seppuku, which is a ritualised form of suicide, that involves disemboweling yourself with a sword. Crucially, in terms of this review, he was said to have claimed prior to the act that one should only commit seppuku on a beautiful body. It’s clear from this, and from his writing in general, that he, unlike myself, bought into that idea about the aesthetics of violence [indeed, the most violent act in this novel is eroticised, is directed towards a beautiful woman], and that he, in direct contrast to me, had an interest in [an active interest in, it seems] the idea of the need or desire to destroy something beautiful. More than anything else he wrote, The Temple of the Golden Pavilion is a philosophical exploration of man’s relationship with beauty, but, more specifically, one man’s premeditated destruction of a beautiful object, and by extension beauty itself; and that, that need or desire to destroy something that is beautiful, is such an alien frame of mind, something that I don’t ever think I can come to grips with, that writing this review will be extremely difficult for me. As a further barrier to my understanding I know very little about Buddhism and Zen and all that malarkey, so the following is my ignorant attempt to say something interesting about the book. The book, as the back cover will tell you, is based on a historical incident, when a man burned down a famous Japanese temple. Mishima’s novel isn’t a strict re-telling of that story, but he uses it as a basis to explore his themes. 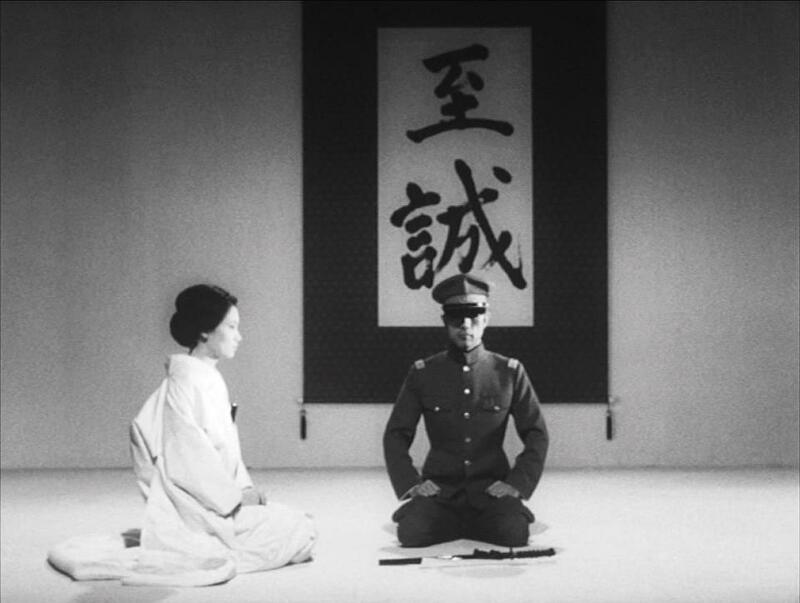 In The Golden Pavilion, as noted earlier, Mishima is concerned with man’s relationship with beauty, and the desire to destroy it/an example of it, but as far as I know the real arsonist was not impelled by the same desire or at least didn’t justify his behaviour in that way. 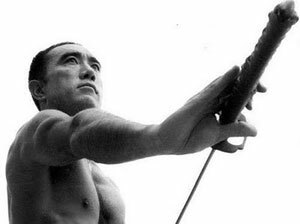 In Mishima’s novel the temple acts as a symbol of beauty, despite not necessarily being all that beautiful, even to his protagonist. The boy, Mizoguchi, is brought up by his father, a priest, to consider the temple as an example of supreme beauty, even before he has seen it. There’s a great scene when he does eventually visit it, and it is shown how he turns his initial disappointment around by giving the temple almost a human personality; he speaks of it hiding its beauty from him etc as though it is aware of his existence, as though it consciously interacts with him. Although Mishima doesn’t give much space to it, I thought this raised an interesting point about the tension between how one sees something imaginatively and the reality of that thing; the poet Fernando Pessoa wrote that imagination is superior to reality, because one can imagine anything but reality can only be what it is. I feel this kind of disappointment all the time, especially when on holiday. Some time ago I was in Rome and my idea of Rome – the Colosseum, etc – was more impressive than what I saw with my own eyes. In fact, the whole time I couldn’t shed the feeling that I would’ve been happier had I stayed in the hotel room and read a book about Rome instead. All this is well and good, of course, but it doesn’t explain why he would want to destroy the beautiful [or symbolically beautiful] temple. It starts to make sense, however, when one considers that Mishima’s protagonist is a stutterer, not only that but the author makes repeated references to his ugliness. One could say that instead of turning upon himself, Mizoguchi’s self-loathing, in relation to what he sees as his imperfection, his unattractiveness, is directed towards the temple, which he idealizes, and which is perfection. This appears to be quite straightforward psychology: it is beautiful; I am not; so I want to destroy it. Similarly: I am beautiful, quite stunningly so; the spider is not; so I want to destroy it. Bingo! But hold on, because the temple makes him happy [at least initially], he appreciates its beauty. In that case, is the destruction of it a way of possessing it? Possibly, but then he claims to already posses it, and that, conversely, it possesses him. So, is it an act of self-sabotage? I’m not sure. If he is the temple, and the temple is him, to destroy it is to destroy himself, yes, but this muddies all those arguments, lovely clear arguments, about ugliness annihilating beauty. There has been some discussion, in the bits and pieces I have read around the book, of permanence being the key; the idea being, I guess, that lasting beauty is the issue, not beauty per se, that lasting beauty is somehow an affront to or is not real beauty, because it is something that ought to be fleeting; certainly, the boy’s friend, the club-footed Kashiwagi, voices this idea. Towards the end of the book Mizoguchi states something along the lines of wanting to decrease the level of beauty in the world and how that can only be done by removing an example of permanent beauty. But then one could equally say that the only way to preserve beauty is to destroy it, because all beautiful things are subject to eventual decay or disrepair etc, yet this idea is never expressed in the book. Ack, who knows? I could probably keep at this forever, but I won’t. Before concluding this review I’d like to make a point of highlighting just how amazing Mishima’s writing is, his prose. For me he is Japan’s Tolstoy, not their Dostoevsky as is more popularly claimed; his prose is rich, his characters have great depth and his imagery is immensely satisfying and novel. His ideas, because he is, as you might have guessed, an ideas man, are always engaging. One of my favourite parts of the novel is a line about how the beautiful girl and the cripple are alike, because they are constantly subjected to observation, to judgement, to being stared at; Mishima makes almost nothing of this line, doesn’t develop it any further, but I loved it. In any case, if you compare Mishima’s style and psychological and philosophical depth to Endo, Tanizaki, Oe, Abe, Murakami [chortle], or any of the other so-called major Japanese novelists, they come off looking like amateurs. Their prose is often bland, their characters, for me anyway, frequently tedious, and their ideas either clumsily explored or just plain crap. As far as I am concerned there are only two truly great Japanese novelists,* at least in translation which I accept may be the real issue, and they are Mishima and Kawabata; Yukio just shades it though. *The Silent Cry by Kenzaburo Oe is certainly a great Japanese novel. It is, in fact, one of the great novels, period. I don’t, however, consider Oe to be a consistently great writer, which is what I was alluding to.